Need something squishy to stress your anger to or just want something cool you can fidget with? 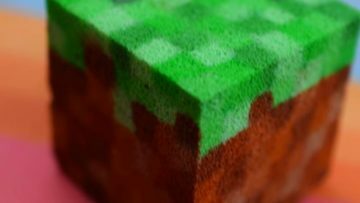 Well, in this post I will be telling you how to make a Minecraft grass block out of foam. 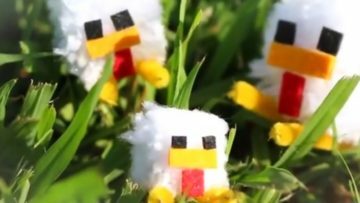 The video is made by Describe In One Word DIYs. 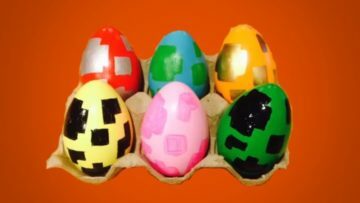 Planning your kids Easter and you want it to be Minecraft related? Or just like the idea of a Minecraft themed box? 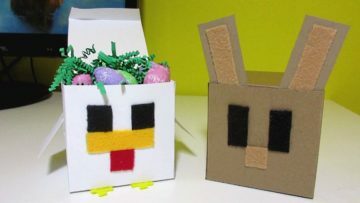 Well, here in this post I will explain how to make these cool Easter rabbit and chicken boxes! The video is made by ZaiLetsPlay. 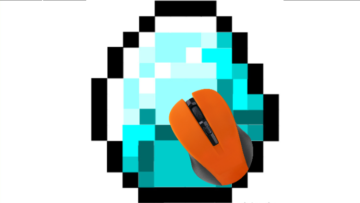 Want to make a cool Minecraft glowstone block? 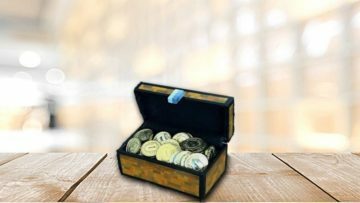 Why not make a fully working one? 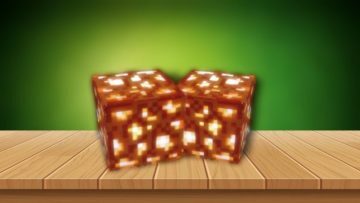 In this post, I will explain how to make an awesome Minecraft glowstone block that actually works! The video is made by Mitty. 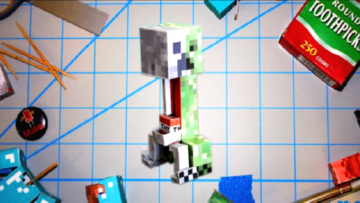 Hello, this is the first post of the year and to start this year I found this cool video about how to make a creeper anatomy figure from paper. 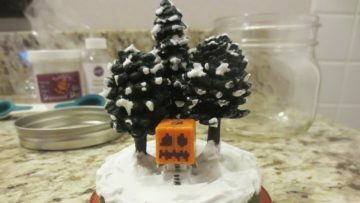 The video is made by RooterBuster W.
Hello and happy holidays, today I have his cute Minecraft snow glove for this Christmas, and the video is made by stacyplays. Hello and Happy Christmas! 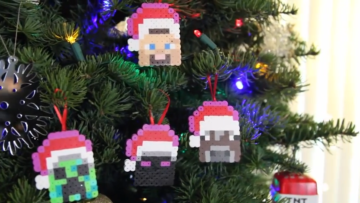 Today I found this cool video about how to make Minecraft Perler beads Christmas ornaments by iHasCupquake.